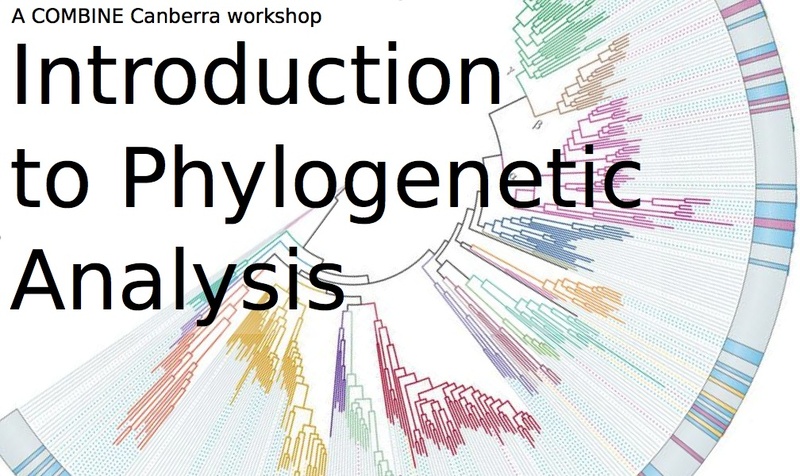 COMBINE Canberra is hosting a free two-day Introduction to Phylogenetic Analysis workshop on the 29th-30th January 2015 at The ANU. sequence alignment, evolutionary models, phylogenetic methods, Bayesian analysis, and demographic reconstruction. This is a great opportunity for anyone new to phylogentic analysis, or looking to develop their existing skill set, to learn directly from Simon Ho – an expert in phylogenetic methods and their applications. Please see attached poster and circulate to anyone you think may be interested. Registrations are not limited to ANU staff and students. ← Volunteer for the International Society for Computational Biology Student Council!